Hey friends...playing along today at the Operation Write Home Virtual Card Making Party. First card is Missing You. 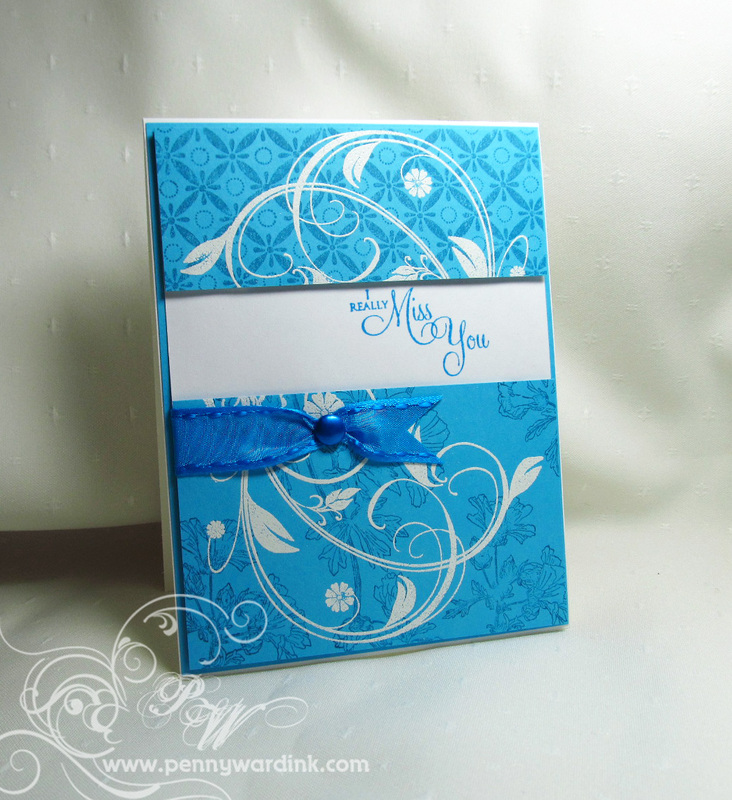 Blue card stock stamped with Indian Wheel and Trailing Beauty using Memento Danube Blue ink. The Longing stamp was heat embossed with White. Sentiment is from the Eloquence set stamped with Danube Blue. Popped top and bottom with foam adhesive and adhered to White card stock. LOVE this blue beauty, Penny! A beautiful combination of stamps! WOW. I love this card...Did you stamp the backgrounds and then stamp the white or did you use a mask. Gorgeous. This is going into my "I've got to copy this" file! Love the brilliant blue, and how you anchored the ribbon with a brad - really pretty effect! So cute-- I love this sentiment and your ribbon treatment is fabulous! So lovely! Love that you embossed the images from "Longing". And I love that blue ribbon! Oh, that's so beautiful & elegant! 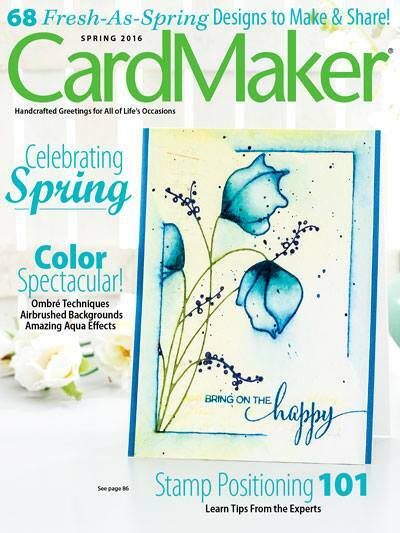 Thanks for joining the card party and supporting OWH! Penny I like how you used the pattern paper to your advantage by splitting it to add your sentiment.